This section outlines the parts of a distributed messaging system and explains the lifecycle of an Amazon SQS message. There are three main parts in a distributed messaging system: the components of your distributed system, your queue (distributed on Amazon SQS servers), and the messages in the queue. 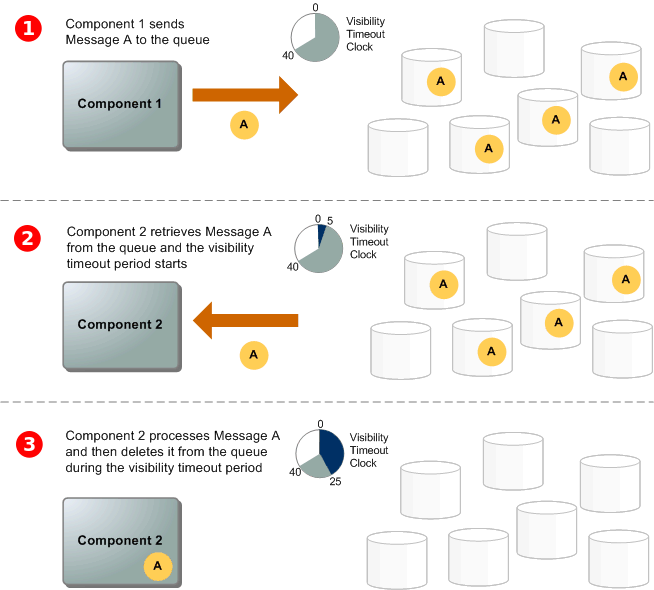 In the following scenario, your system has several components that send messages to the queue and receive messages from the queue. The queue (which holds messages A through E) redundantly stores the messages across multiple Amazon SQS servers. The following scenario describes the lifecycle of an Amazon SQS message in a queue, from creation to deletion.